The workplace has changed. Across many industries, employee average ages are dropping; it’s estimated that by 2020 (less than three years from now), at least 50% of the global workforce will be made up of us – the Millennial generation. In this changed landscape, how can organisations plan for the future that’s just around the corner? A generation full of labels. These are just some of the overwhelmingly negative labels that my generation is slapped on. We are derided, mocked, and ridiculed for how we have been shaped by the world, its context, and its circumstances at this point in time. It’s neither fair nor accurate. More importantly, my generation is the future. We have no choice. In the next 5-10 years, we Millennials – currently in our mid-twenties to mid-thirties – will represent the next generation of leaders in all industries. And preparation for this transition will not happen by scorning us – it’ll happen by actually preparing us. Five Truths about a changed workplace. A longer “figuring it out” period. We’re staying longer with our parents. We’re waiting longer to get married. We’re delaying ‘the first big purchase’ of cars and/or homes. Maybe we’re like this because we realise we want to do more, and we have more opportunities to do so. We’ve also become more fearless in our attempt to experiment with life choices and figure things out for ourselves. Supporting causes is hugely important. Our generation has been relatively lucky in that for most of us, we no longer need to fight for basic freedoms. The things we fight for have changed, from freedom to rights and equality. We fight for ideas and beliefs like sustaining the planet, taking care of animals, and equal treatment for our LGBTQ friends and families. A return to the roots, and giving back. There was a time when “fame whore’ was a thing, helped in no little way by our propensity for social media affirmation. I guess our generation has grown out of that in some way, in that we now would rather be remembered for being great to our friends and families, instead of being famous. When we consider Millennial challenges like the fact that we spend most of our salaries on rent just to be nearer our offices, I suppose our values change accordingly, too. The increasing value of the creative self. It’s an unfortunate truth that our generation is painfully aware that we have an audience on social media. There is a pressure, spoken or otherwise, to ‘put our best forward.’ But this ‘filtered lifestyle’ is losing its shine; expression of our inner, creative self is not only rewarded and celebrated, but encouraged. Culture is a powerful anchor. 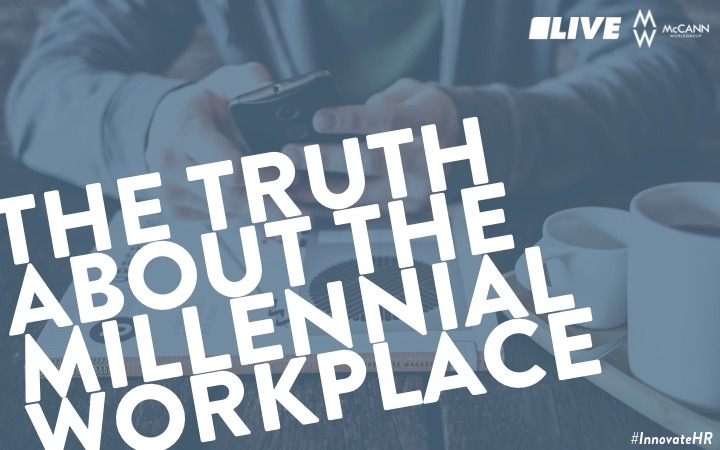 The ‘modern’ workplace, in particular, is a curious place to be for a Millennial. Sometimes, it’s not about the pay; feeling respected, supported, and knowing we’re growing is often even more powerful retention drivers. And often, it’s not about the outdated ‘benefits’ that no longer reflect current needs; knowing that I belong in a group or ‘tribe’ that believes what I believe doesn’t only retain employees – they attract like-missioned individuals as well. Help us figure things out. Understand that we have more choices than ever, brought about by changing times. Guide us in this crazy world. Our causes need support. We are idealistic in our beliefs, and we look for environments that make us feel like we can continue to be so. Friends and families come first. Help us spend more (quality) time with the people who matter to us and not only will we be more productive, we’ll be happier, too. Creative me is the real me. Our generation is hugely expressive and organisations should be ready to provide creative outlets for us (we all love our side hustles). Culture is the pillar. At the end of the day, we look for a place where we feel that we play a meaningful role in. A workplace culture that promotes this, wins. McCann Truth Central. (Q4 2016). “The Truth About Youth.” McCann Worldgroup.